Even though it is only an illusion, but it seems that when John Cage walked into our room, the world has re-started in some fashion. Cage is the stone that was thrown into the pond, and future experimental music came from those little ripples from that rock. Michael Nyman, a great composer, by the way, wrote this book in 1974 at the height of Brian Eno's Obscure Records label, where he focused on the British wing of the musical avant-garde. Before Nyman's work with filmmaker Peter Greenaway, he was acutely aware of the tradition of contemporary classical music and all its strange and beautiful routes it took through the later years of the 1940s to the publication date of this book. In such a fashion the book appears to be a classic textbook on its subject matter, and Nyman is very much the instructor in taking the reader from point A to point B, and so forth. 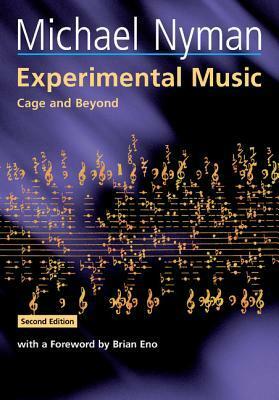 Not one only gets the foundation of Cage, but also the works of Fluxus era composers up to the British talent such as Gavin Bryars, Christopher Hobbs, and the Scratch Orchestra, as well as the world of Terry Riley, LaMonte Young, Philip Glass, and Steve Reich. Illustrated with music scores and rare photos, this is a remarkable and essential piece of work regarding the world of the avant-garde sounds and its artists.